This is my first real post so I hope you like it, I want to share with you my artistic journey. The techniques I hope to share with you on this blog, hopefully will be ideas and techniques that you havent seen before. Thanks. Once you have your shape cut out, glue one side with the clear glue and place on the clear acetate/laminate sheet. Allow to dry thoroughly. Once dry cut around the stamp leaving about a one centimetre edge of clear sheeting. The reason I use a clear laminate sheet is you can see through it when you position it on the page. 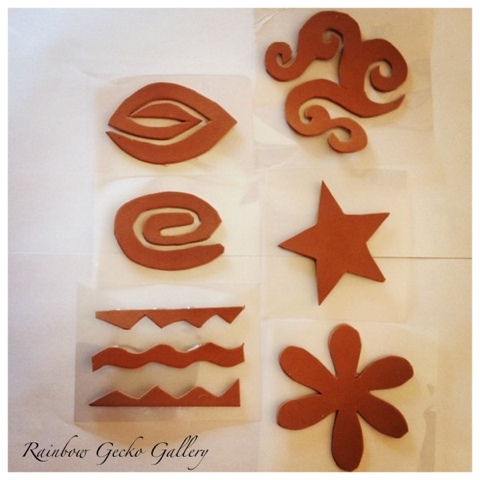 In my experience using these handmade stamps is that they are sturdy and durable. You can leave them soaking for cleaning and they last.